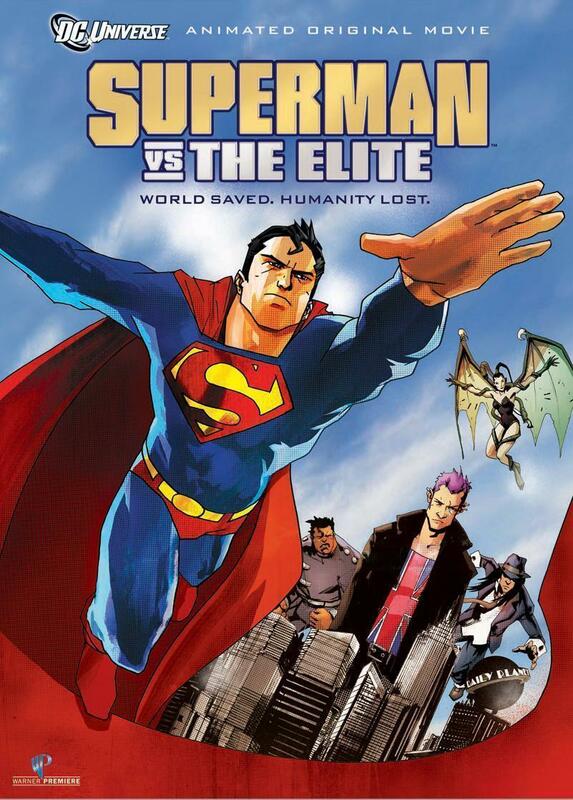 Click here for the latest Superman Versus The Elite news updates! The Man of Steel comes face-to-face with powerful villains, daunting rivals and a society more interested in retribution than justice when a new, less-ethical breed of super hero arrives in Metropolis in Superman vs. The Elite, this startling entry in the popular, ongoing series of DC Universe Animated Original Movies. Produced by Warner Premiere, DC Entertainment and Warner Bros. Animation, the all-new, PG-13 rated film is available from Warner Home Video as a Blu-ray™ Combo Pack and DVD, On Demand and for Download. Both the Blu-ray™ Combo Pack and DVD will include an UltraViolet™ Digital Copy. In the film, Superman's effectiveness as a super hero comes into question when a new group of super powerful crusaders, known as "The Elite," appear on the scene. As super heroes, the Elite know no bounds, and are more than willing to kill, even on a massive scale, to stop villainy -- putting them on a collision course with the ever-ethical and decidedly non-lethal Man of Steel. George Newbern (Father of the Bride) reprises his Justice League animated role as Superman, and primetime television star Pauley Perrette (NCIS) provides the voice of Lois Lane. Versatile voice actor Robin Atkin Downes (Babylon 5, Justice League: Doom) steps in as Manchester Black, leader of The Elite. David Kaufman (Justice League: Doom) also reprises his Justice League TV series role as Jimmy Olsen. The film is directed by Michael Chang (Batman: The Brave and the Bold). Sam Register (Young Justice, Teen Titans, Ben 10) and Bruce Timm (Batman: Year One) are the executive producers. Alan Burnett is producer. Superman Versus The Elite and related characters and indicia are property of DC Comics and WB, 2001 - 2012. The World's Finest and everything relating to this site - copyright, 1998 - 2012.